Objectives: Depersonalisation (DP) and derealisation (DR) are often met with in patients with a wide range of localisable neurological conditions. This suggests that the “lesion method” might be a valid approach to study the neurobiology of DP/DR. However, the fact that anxiety can trigger DP/DR makes it difficult to establish whether the presence of DP/DR in neurological patients is mainly determined by coexisting anxiety or by lesion location. To overcome this difficulty, we suggest the study of neurological phenomena, which although not considered as DP/DR, bear enough phenomenological resemblance with them as to warrant their use as models. Methods: One patient with “visual hypoemotionality” and another with “hemiasomatognosia” are described in detail together with a selective literature review. Results: Complaints of patients with visual hypoemotionality are indistinguishable from those of patients with “visual derealisation”. There is also a phenomenological overlap between “asomatognosia” and the symptom of “body alienation”, which is a central feature of depersonalisation. Conclusions: Phenomenological similarities between visual hypoemotionality and DR suggest that a disruption of the process by means of which perception becomes emotionally coloured may be an underlying mechanism in both conditions. Likewise, phenomenological overlaps with asomatognosia suggest that DP might result from parietal mechanisms disrupting the experience of body ownership and agency. These findings give validity to the notion that DP and DR may have distinct neurobiological mechanisms. DR involves “an alteration in the perception or experience of the external world so that it seems strange or unreal.”1 It is not known if the differentiation between DP and DR has any neurobiological validity. Most of the neurological conditions associated with DP/DR, such as epilepsy, migraine, and mild head trauma etc3 have poor localisation value. However, DP/DR have also been described accompanying localised lesions.4, 5 This raises the question if the study of such cases (the lesion method) might be a valuable approach to study the neurobiology of DP/DR. In view of the above difficulties, an alternative approach might be the study of neurological conditions that although not considered as DP/DR, bear enough phenomenological resemblance to them as to warrant their use as models. In particular, this paper will draw attention to the phenomenological similarities between DR and visual hypoemotionality and between DP and asomatognosia. It is our contention that the study of neurological phenocopies of DP/DR might help tease out those symptoms with more neurobiological grounding from those more psychosocially determined. Two cases assessed by the authors will be presented to substantiate our ideas. The patient was a 58 year old man with a high educational level, who sustained a severe head injury and developed bilateral basal temporo-occipital haematomas (fig 1). From the onset, it became clear that in addition to prosopagnosia, the patient also described an inability to endow visual perception with emotional feelings (for a full report of neuropsychological findings see Lopera and Ardila13). The following verbatim excerpts from an early interview convey the intensity and ineffable character of this symptom. MRI of case 1. Bilateral occipitotemporal lesions are present with a more basal distribution on the right side and a left posterior temporal lesion. The above complaints were specific for the visual modality. In fact, he noticed increased emotional reactivity to auditory information. A thorough psychiatric assessment did not show any underlying psychiatric pathology. The phenomenological overlap between the experiential narratives of patients with DR and with visual hypoemotionality, suggests a common underlying mechanism—namely, a disruption of the process by means of which perception becomes emotionally coloured. It is our contention that the latter may result in a qualitative change in the experiencing of perception, which is then reported by the subject as unreal or detached. The following is the case of a patient who developed hemiasomatognosia and DP after a right parietal chronic subdural haematoma. She was not depressed or delusional but seemed slightly anxious (Beck's depression Inventory=10,22 Zung anxiety inventory=20,23 Dissociative experiences scale=824). Facial emotional expressions and prosody were preserved. In summary, the evidence discussed suggests that the phenomenological differentiation between DR and DP has neurobiological validity. Support for the study came from the Col WW Pilkington Will, Cecil Pilkington and AP Pilkington Pilozzo Charitable Trusts. FL received partial support from university funds assigned to the Neuroscience Programme of the University of Antioquia (period 2001–2003). Simeon D, Gross S, Guralnik O, et al. Feeling unreal: 30 cases of DSM-III-R depersonalisation disorder. Am J Psychiatry1997;154:1107–13. Lambert MV, Sierra M, Phillips ML, et al. The spectrum of organic depersonalization: a review of the literature plus four new cases. Archives of General Psychiatry 2002 (in press). Smirnov VY. Paroxysmal psychopathological symptoms in patients with brain tumors in the right and left temporal lobes. Neurosci Behav Physiol1977;8:86–9. Haug K. Die Störungen des Persönlichkeitsbewusstseins und verwandte Entfremdungserlebnisse: eine klinische un psychologische Studie. Stuttgart: Ferdinand Enke Verlag, 1936. Mayer-Gross W. Depersonalization. Br J Med Psychol1935;15:103–26. Paulig M, Böttger S, Sommer M, et al. Depersonalisationssyndrom nach erworbener Hirnschädigung (depersonalization syndrome after acquired brain damage). Nervenarzt1998;69:1100–6. Noyes R, Hoenk PR, Kuperman S, et al. Depersonalisation in accident victims and psychiatric patients. J Nerv Ment Dis1977;164:401–7. Kellner M, Hirschmann M, Wiedemann K. Panic attacks caused by temporal tumors: an exemplary new case and a review. Depress Anxiety1996–7;4:243–5. Chemerinski E, Robinson RG. The neuropsychiatry of stroke. Psychosomatics2000;41:5–14. Bauer RM. Visual hypoemotionality as a symptom of visual-limbic disconnection in man. Arch Neurol1982;39:702–8. Habib M. Visual hypoemotionality and prosopagnosia associated with right temporal lobe isolation. Neuropsychologia1986;24:577–82. 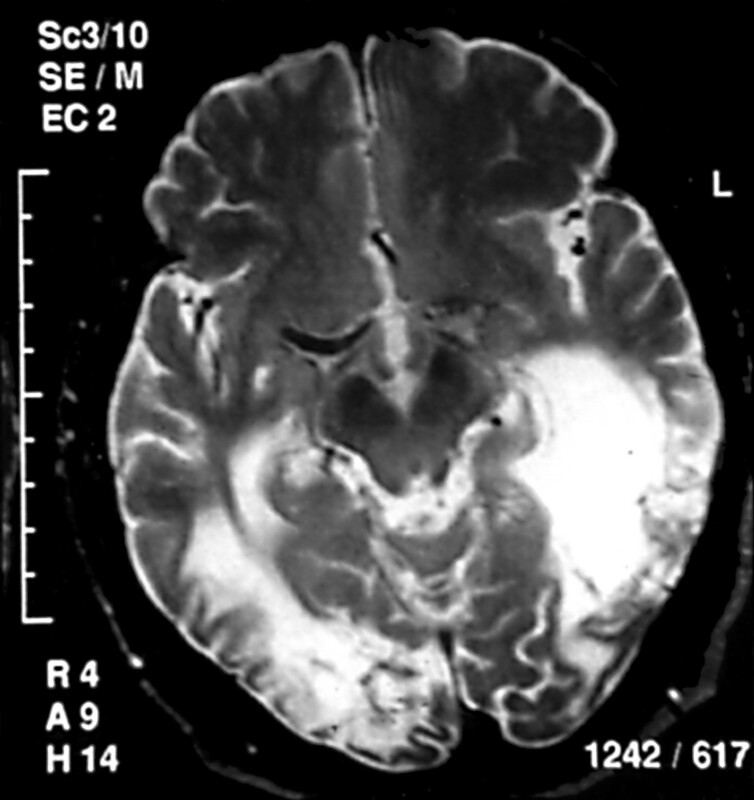 Lopera F, Ardila A. Prosopamnesia and limbic disconnection syndrome: a case study. Neuropsychology1992;6:3–12. Sierra M, Berrios GE. The phenomenological stability of depersonalization: comparing the old with the new. J Nerv Ment Dis2001;189:629–36. Sierra M, Senior C, Dalton J, et al. Autonomic response in depersonalisation disorder. Presented at the American Psychiatric Association Annual Meeting. Chicago, IL: APA 2000. Feinberg TE, Haber LD, Leeds NE. Verbal asomatognosia. Neurology1990;40:1391–4. L'hermitte J. L'image de notre corps. Paris: Nouvelle, Revue Critique, 1939. Ehrenwald H. Anosognosie und Depersonnalisation. Ein Beitrag zur Psychologie der liniksseitig Hemiplegischen. Nervenarz t1931;4:681–8. Lishman WA. Organic psychiatry: the psychological consequences of cerebral disorder. London: Blackwell, 1998. Critchley M. The parietal lobes. London: Edward Arnold, 1953. Feinberg TE, Roane DM, Cohen J. Partial status epilepticus associated with asomatognosia and alien hand-like behaviors. Arch Neurol1998;55:1574–6. Beck AT, Ward CH, Mendelson M, et al. An inventory for measuring depression. Arch Gen Psychiatry1961;4:561–71. Zung WK. A rating instrument for anxiety disorders. Psychosomatics1971;12:371–9. Bernstein EM, Putnam FW. Development, reliability and validity of a dissociation scale. J Nerv Ment Dis1986;174:727–35. Schilder P. The image and appereance of the human body. London: Kegan Paul, 1935. Shorvon HJ. Depersonalisation syndrome. Proceedings of the Royal Society of Medicine1946;39:779–92. Simeon D, Guralnik O, Hazlett EA, et al. Feeling unreal: a PET study of depersonalization disorder. Am J Psychiatry2000;157:1782–8. Sierra M, Berrios GE. Depersonalization: neurobiological perspectives. Biol Psychiatry1998;44:898–908.